The Saffron Walden Historical Society has been organising lectures for its members since the 1930s. In this section of the website photographs and press reports of some of the Society meetings will be added. More than 30 articles have been added to the Saffron Walden History website, bringing the total available online to almost a hundred. They are taken from out-of-print issues of the Saffron Walden Historical Journal, and the number will be added to as time goes on. Among the new additions are articles on the Rose & Crown Fire, the Moat Farm Murder, the WW2 Demolition Line of Defences, the Medieval Park at Little Walden, the history of 1 Myddelton Place (the former youth hostel), the life of the former Saffron Walden MP, Rab Butler, the Turf Maze on the Common and many other subjects that have proved popular articles with readers. To find the new material, simply click on Articles in the top of the welcome page and the list is displayed alphabetically. All articles are in PDF and can be downloaded and printed off without charge, however they remain the copyright of the authors and publishers and permission must be sought to reproduce them in other media. This entry was posted in Events on January 11, 2018 by saffronwaldenhistoricalsociety. The Spring 2016 issue of the Journal included articles on the subjects of: a stroll round 1950s Walden with Bruce Munro remembering scenes and characters of the time; a look at the varying styles of fanlights on front doors in some of the town streets and how they relate to historical fashions; memories of when the programme ‘Lovejoy’ was filmed in Walden, Clavering, Hatfield Broad Oak, Berden and other parts of NW Essex in the 1990s; new archaeological and historical discoveries in the area; the centenary of the Battle of the Somme; and much else. The front cover is an original drawing by noted professional artist and designer, Brian Sanders. This entry was posted in Events on March 31, 2016 by saffronwaldenhistoricalsociety. 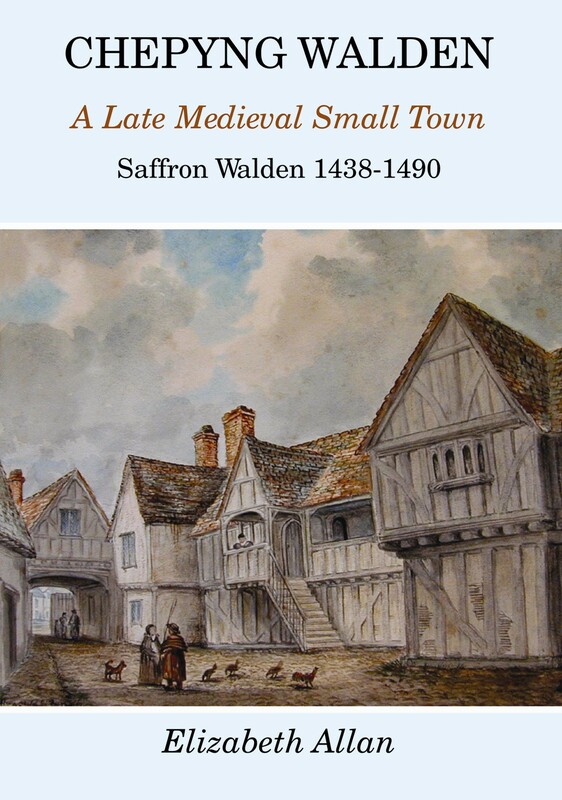 In June 2015, the Saffron Walden Historical Society, under its imprint SWHS Publications, was proud to bring into publication a new book by Elizabeth Allan, Chepyng Walden. 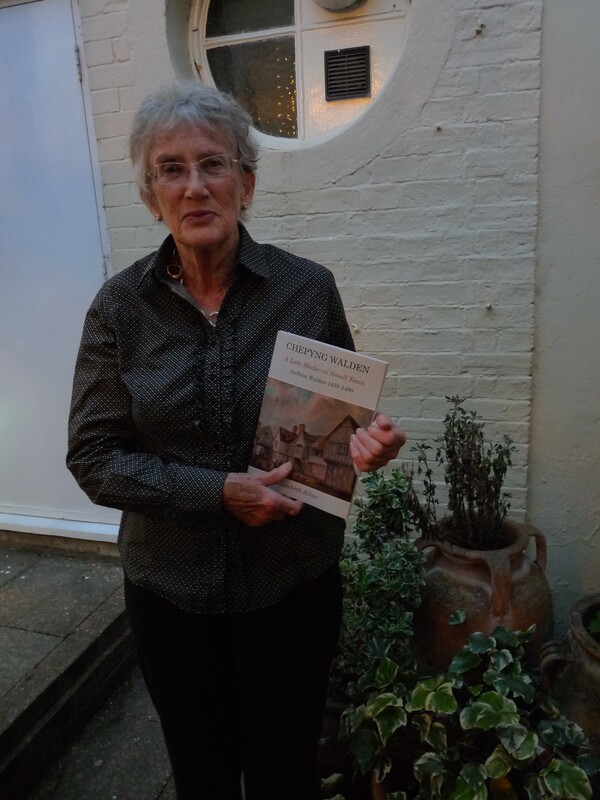 The photograph shows the author at the launch of her book, a landmark volume offering a unique and detailed portrait of Saffron Walden in the 15th century, a time when it was still known as Chepyng (or Market) Walden. The author vividly brings to life the town as it grew and changed almost six centuries ago, leaving a legacy we still enjoy today: this was the dynamic period when the magnificent church was being built, there was a rich cultural life, sophisticated trading patterns and saffron was becoming an important crop. A remarkable and scholarly book, fully illustrated with maps, charts and photographs, it has rapidly become a classic reference for everyone with an interest in the history of medieval life in the finest market town in Essex. Edited by Jacqueline Cooper. Design by Nick Crawley. Fully illustrated in colour. This entry was posted in Events on May 2, 2015 by saffronwaldenhistoricalsociety. Geoffrey Ball, a regular contributor to the Saffron Walden Historical Journal, has been awarded a prestigious national prize by the British Association for Local History. 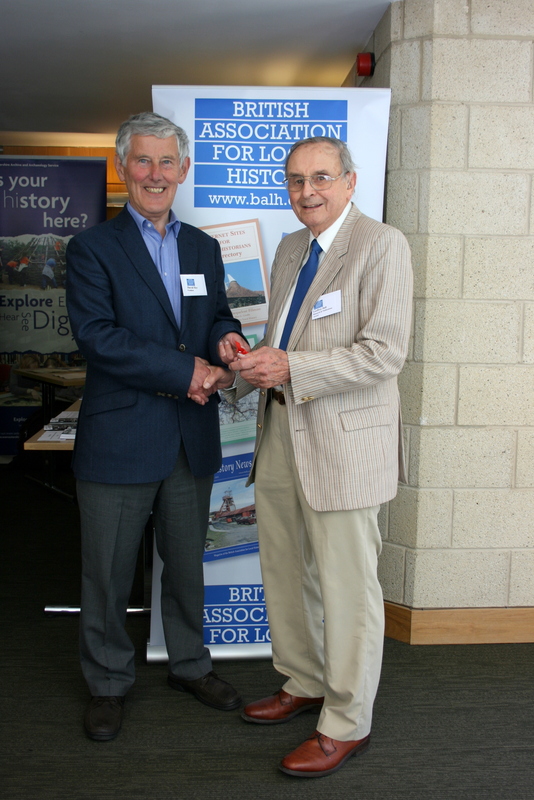 The photograph shows him receiving the prize from David Hey at the BALH agm in Birmingham in June. Geoffrey, who lives in Saffron Walden, received the BALH Publications Award 2015 in the short article category. The article, published in the Autumn 2013 issue of the Journal, explored the history of the WW2 agricultural committee in the town and district, the so-called ‘War Ag’, based on the rare survival of its records in the Town Library. Geoffrey specialises in the history of agriculture and associated trades and has written a large number of articles for the Journal over many years, some of which are gathered together in the SWHS Publications volume, Land Agriculture & Industry, on sale at the TIC in Saffron Walden. This entry was posted in Events on January 9, 2014 by saffronwaldenhistoricalsociety.